Bell Group Home Improvements is known for offering top quality materials and workmanship since 1998 In the Niagara Region that will bring you great comfort in knowing that you have invested wisely in your home. At Bell Group Home Improvements, we understand how important your home is and that when you decide to work with our team, your home will receive the best care and attention. It's very important to make sure you choose the right company for any home renovation project. Choosing the wrong company can result in a lot of frustration, time and money spent on repairs and replacements. If you're looking for the best roofing contractor in the Niagara Region, look no further! When you choose Bell Group for your roofing, siding, windows and other renovation needs, you'll be guaranteed to receive the highest level of quality and professionalism at the best value. Your roof should be built with the highest industry standards in mind. It should be worth every penny spent and last you many, many years. We take quality very seriously when working with our customers. 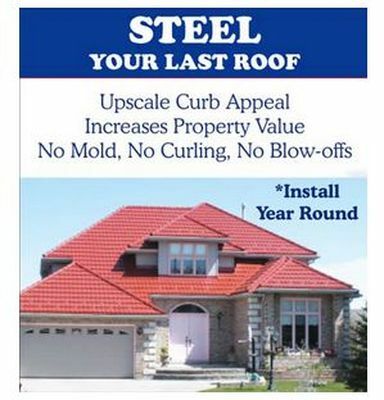 Our roof could very well be the last roof you'll ever need! We realize that's a bold statement to make, but we're confident that you'll be 100% satisfied with our roofers. 1. 5 Star Treatment. We pride ourselves on offering the best customer service of any roofing company in the region. But that's not all, our customer service extends far beyond the initial point of contact and sale. Once you sign a contract to begin your Niagara roofing or home renovation project, the 5 star treatment will continue all the way to and even past project completion. We will stay in touch from time to time to ensure your complete satisfaction and your roof or renovation lasts for many years past installation. 2. Unsurpassable Value. The best option won't always be the least expensive, but we can guarantee you'll get the best value. 3. Free Estimates. When you contact us with your specific home renovation project, we will take time to listen to you. We'll come to your home, sit down with you and go over all of your options and depending on your needs and budget, we'll put together a customized plan for your home. When we come to your home, look around and identifying the best solutions for your home renovation needs we will be candid with you every step of the way. 4. Hassle-Free Insurance Claims. We know how hard it can be to work with insurance companies. That's why we are prepared and willing to handle the claims process for each of our customers. You can be free to enjoy your newly renovated home without the stress or the hassle of trying to secure funding on your own. 5. Fully Licensed and Insured. Your home is valuable. Whether you decide to work with us or another Niagara roofing company, make sure whoever you choose is fully licensed and insured. We are proud to be able to make that claim. In addition to the 5 qualities listed above, we also offer other services at Bell Group Home Improvements. Whether you're looking for metal roofing, vinyl siding, gutter guard, replacement windows or doors, we've got the right team to handle all your needs. A metal roof offers durability and energy efficiency that you just can't beat with asphalt shingle roofing. A metal roof could end up being the last roof you'll ever need for your home. For that reason, a lot of homeowners are turning more and more to Bell Group Home Improvements who specialize in this type roofing. We have the best Niagara vinyl siding contractors. If you need vinyl siding, masonite siding, fiber cement siding, HardiPlank siding or cedar shake siding for your house, there's no need to look further. Our team also specializes in window replacement & installation for houses and buildings. If you've been endlessly searching the web for "window replacement Niagara Region," your search officially ends here! We can also install interior and exterior doors, including front doors, screen doors, french doors, steel doors, sliding patio doors and more. Protect your gutters and prevent clogging that occurs from leaves, twigs and debris! Installing gutter guard can help save you time and money often spent on gutter cleaning. 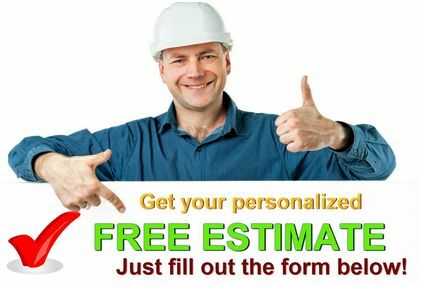 Get started today: Call us at 905-892-7616 or fill out the form on this page to get your FREE estimate!